Once regarded as a sport during the ancient Greek Olympics and a literary genre that has seen golden ages of renaissance, poetry has become a literary step child, relegated to the rear of establishments, often slammed to the ground, and shoved into dark corners. Before we continue this disastrous cycle of ignorance, there must be an understanding of the presence and the power of poetry. Ask any poet for their definition of poetry and the answers will vary. Even the denotative meanings found in the dictionaries vary. But to all persons who claim: “I don’t like poetry” or “I’m not a poet,” think again. The truth is that poetry means beauty. If you are a beautiful being, you are a poet. Everyone has poetry. We showcase our poetry in different ways. Know that poetry is beauty. Poetry consists of all persons, places, things, and ideas that are beautiful. Poetry includes all beautiful sights, sounds, feelings, tastes, and movements. Poetry is inner and outer beauty, spiritual and physical beauty. There is poetry of sight in the form of attractiveness. There is poetry of sound in harmony. There is poetry in the fragrance of a rose. There is poetry in the gentle back massage with hot oil. There is poetry in the bowl of hot and sour soup with extra shrimp. There is poetry in a spiritual experience. More than a literary genre that is screaming to be respected, poetry is the handy-work of beautiful beings. No longer shall we disrespect poetry by slamming it to the ground. The poets of the day, like the musicians, are the voices of the day. Allow the poets to be heard by opening the doors of opportunity. Celebrate World Poetry Month in April. 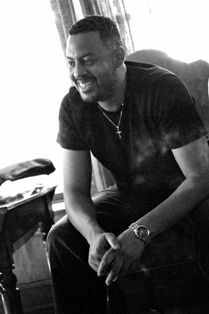 To learn more about World Poetry Month, visit http://www.worldpoetrymonth.blogspot.com. I was in Montana for work all last week and I flew back to Charlotte last night. It had been a long day and by early evening, the only thing separating me from home was the four hour flight from Salt Lake City to Charlotte. I sat on the aisle in the first row of seats in the Coach section. I had a perfect view into First Class where there were two very pleasant and attentive flight attendants for the handful of VIP passengers. Those in First Class had drinks before take off and just in general seemed to be having a good time being showered with extra attention. Meanwhile, just one row and a flimsy blue drape away, I sat in Coach among the crying children and cramped seats. I watched while they had snacks in First Class, more drinks and a nice hot meal with real silver and glassware. And I waited in Coach, with over 70 people, who were also being served by two flight attendants, for almost two hours just to get a soda and pay top dollar for a cold fried chicken sandwich. When I asked for one of the Margaritas they’d been promoting, I was told they didn’t have time to make one for me. It occurred to me as I sat there eating my sandwich that we tend to treat our loved ones as if they are riding in Coach. Like those Coach flight attendants, we are often spread too thin with too many things to do and too many people to serve. No time to do anything extra. Yet every once in a while, it would be great if we could treat those we love to a little first class treatment. Run a hot bath for the hubby after a hard day. Give the wife a day off and treat her to dinner (or cook it yourself). Spend an evening with the kids doing something they absolutely love. Go get manicures with your best friend. Believe me, a little first class treatment can go a long way. Karyn Beach is a success coach and corporate trainer. She specializes in eliminating excuses and getting people to take action. She holds a bachelor’s degree from Ohio University and is a member of The American Society of Training and Development and the National Association of Professional Women. Currently, she is completing her Core Coaching Certification with Coach University. For more information, visit Lose the Excuses. AMERICAN VIOLET opens in theaters on April 17 starring Alfre Woodard, Michael O’Keefe, Tim Blake Nelson, Will Patton, Charles S. Dutton, Xzibit and newcomer Nicole Beharie. Based on true events in the midst of the 2000 election, AMERICAN VIOLET tells the astonishing story of Dee Roberts (critically hailed newcomer Nicole Beharie), a 24 year-old African American single mother of four young girls living in a small Texas town who is barely making ends meet on a waitress salary and government subsidies. On an early November morning while Dee works a shift at the local diner, the powerful local district attorney (Academy Award® nominee Michael OKeefe) leads an extensive drug bust, sweeping her Arlington Springs housing project with military precision. Police drag Dee from work in handcuffs, dumping her in the squalor of the womens county prison. Indicted based on the uncorroborated word of a single and dubious police informant facing his own drug charges, Dee soon discovers she has been charged as a drug dealer. Even though Dee has no prior drug record and no drugs were found on her in the raid or any subsequent searches, she is offered a hellish choice: plead guilty and go home as a convicted felon or remain in prison and fight the charges thus, jeopardizing her custody and risking a long prison sentence. Despite the urgings of her mother (Academy Award® nominee Alfre Woodard), and with her freedom and the custody of her children at stake, she chooses to fight the district attorney and the unyielding criminal justice system he represents. Joined in an unlikely alliance with an ACLU attorney (Tim Blake Nelson) and former local narcotics officer (Will Patton), Dee risks everything in a battle that forever changes her life and the Texas justice system. 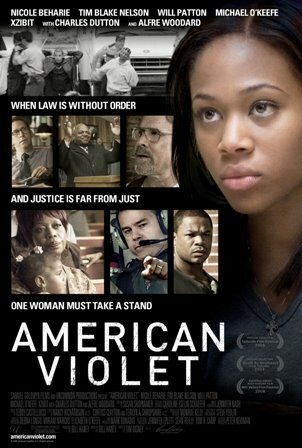 AMERICAN VIOLET also stars Emmy Award® winner Charles S. Dutton and Xzibit. Kim Barnes is the founder of Focus-Link providing workshops and personal training in communication strategies. Kim’s workshops have been called “energetic and motivating”. Kim has also written articles on communications and women’s health issues. Kim received her Masters in Health Service Administration from St. Joseph’s College and her Bachelors in Nursing from Hunter College. 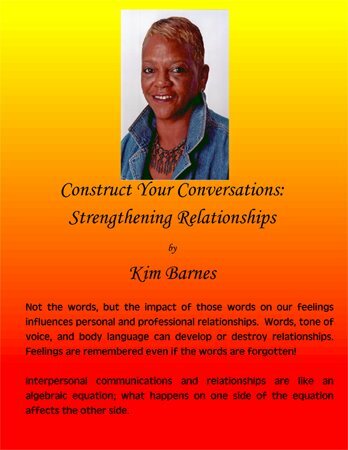 Construct Your Conversations: Strengthening Relationships is a powerful, motivating, easy to read book that magnifies the complex intertwining of interpersonal communications and relationships. Communication and relationships are often treated as separate entities when if fact they are Siamese twins. They are distinct entities joined forever! It is not the words, but the affect of the words on our feelings that determine if relationships are developed or destroyed. I am powerful because I have the ability to affect others by just being me. Why is it important to celebrate Black History 365 days a year? It is important to celebrate Black History every day of the year because every day of the year Blacks make remarkable achievements in every arena. The media focuses on what make sensational copy, but there are so many more dynamic achievements occurring that does not get the same attention. As a people, we are remarkable 365 days of the year! Q. How did my writing journey begin? A. At one point in my tenure as a senior manager, I realized that much of my time was spent on resolving conflicts. After researching and observing, I concluded that it all boiled down to the affect of words on our feelings that often determine our messages and responses. From this came training workshops that expanded to the book because I believed I had something powerful and important to say. From the time we are born, we are part of many relationships and I hope to be able to help someone keep theirs healthy, positive, and strong. Q. What makes your book stand out and would entice a reader to pick it up? A. Construct Your Conversations is full of information explaining what happens in emotion filled conversations and provides strategies for deterring negative conversations that can damage or destroy relationships. Absorbing this information and putting it into practice can drastically improve personal and professional relationships. Q. Ultimately, what do you want readers to gain from the book? A. I would like readers to understand variables that affect our communication hence our relationships. Variables such as understanding that we are in relationship because they have value to us: love, money, power, or information. Sometimes we do not speak up for fear of losing what we hold valuable so we hold our true feelings in failing to realize there is a negative price to pay for suppressing rather than expressing. Another variable is anger. If you understand that anger derives from either an expectation not met or something we did not get, then we are able to manage anger because we realize it is not personal. The negative conversations are a displacement of feelings about our expectation not being met. We yell at the waiter because the food is cold. Yelling at the waiter is displacement. We are really upset that the food is cold. We yell at our children for getting a bad grade. It is not the child, but the lack of meeting our expectation which we placed on them to get good grades. Choosing the best time, tone, and text when needing to address a potential or actual emotion-filled conversation is important in maintaining valuable, important relationships. Knowing how to have a “critical conversation” is key to addressing a situation without destroying the relationship. Developing “rules of engagement” prior to emotion-filled conversations can result in a win-win rather than a win-lose encounter. Q. What advise would you give a new writer? A. Three required tenets for a new writer is passion, patience, and perseverance. To be a good writer, you have to be passionate about your subject matter or characters. Lack of passion will be evident in your writing. The more passionate we are as writers, the more we let the reader into our world. You must be patient with your self and your work. The devil is in the detail. Being impatience can lead to losing the small details that will enhance your subject matter or characters. Perseverance is necessary when writer’s block sets in, others are negative about your venture, or there seems not to be enough time in your day to get the writing done. Overcoming these deterrents is necessary to becoming a good writer. Q. What can we expect from you in the future? A. My plan is to continue to write and about interpersonal communication and relationships; a series of Construct Your Conversations with your teen or your spouse. Each relationship require skills that will strengthen the relationship and save if from destruction. Ella: Tell us about your passion for writing. 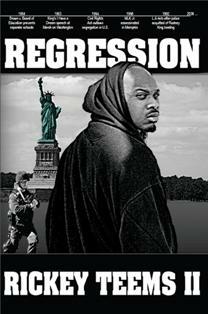 My passion for writing can best be understand by turning a few pages of my latest novel, Regression. The attention to detail, the intensity, the intrigue and ability to keep my readers glued to the story, it all lends itself to the evidence of my passion. Ella: Introduce us to your new book, Regression. Regression is a one of a kind rollercoaster. Many stories and books may keep you entertained, but none will command your undivided attention like this social thriller. It offers the reader a chance to experience the ultimate “what if” scenario. I am Powerful because I am fueled by the wisdom, understanding, and Spirit of the Most High God! Ella: Where are you from? How did you start your writing journey? I’m from the land where Lucifer fell when God gave him the boot, and now it’s the birthing ground for every untruth. The city of Lost Angels. My writing journey Started well before my recognition of it. Childhood poems matured to rap lyrics, and then rap Lyrics transpired to novels in 2006. But I was blessed with a gift of the pen. Ella: Who are your two main characters and what do you like most about them? The main character in, Regression, is easy, my main man Aeneas Mayes. I love Aeneas. Because he has the street savvy from his past, but is smart enough to know there is so much more beyond what we think we know. He’s resilient and a man of his word. I’m not sure what character would win the silver. They are all running neck and neck! Ella: What makes your book stand out and would entice a reader pick it up? Regression stands out because it is the culmination of every racial conversation, joke and fear across America. I was just bold enough to put it in a book. It is a creative blend of entertaining education. Realization. Life has never been, nor will it ever be, as simple as we would like. Ella: What is the most surprising thing you have learned in creating books? How much mutual respect there is amongst talented authors. With such a saturated market, you would expect more cutthroat antics. But as we say in the hood, real recognize real. Ella: What would you say has been your most significant achievement as a writer? My most significant achievement was my grandmother saying how much she liked my book. She hates everything! Ella: Name 3 things that it takes to make a successful author, in your opinion? In addition to the short story, Soldier Surrendered, that will be on the upcoming Bended Knee Anthology, by Hollygrove Publishing, I will also be partnering with Hollygrove to publish an insane Suspense/thriller next year. Hold onto your chest! Nishawnda Ellis was born and raised in Boston, Massachusetts. After, graduating from Boston Latin Academy with honors, she attended Hampton University in Hampton Virginia. There, she earned a Bachelors of Science degree and went on to practice as a Registered Nurse. She left her “home by the sea” in Virginia and returned to Boston in May of 2000. Hence Snowed blossomed into a story of love, betrayal and finding one’s self-worth to love again. With little experience in the publishing world and after submitting Snowed to one publisher with no reply, Nishawnda decided to self-publish. Creating her own publishing company, Kindle Eyes Books and juggling full-time and part-time jobs, Nishawnda financed her life long goal of becoming a published author. 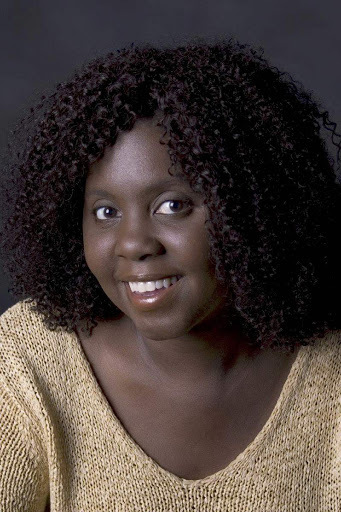 In 2005 Nishawnda published Wives and Girlfriends which became a so popular amongst readers that in 2006 Nishawnda received the African American Literary Awards Show “Self Publish Author of the Year” Award and signed a two book deal with Urban Soul an imprint of Kensington Publishing House in New York. Nishawnda currently resides in Massachusetts with her daughter, Niaomi and continues to work as a Registered Nurse. She is working on three upcoming novels, Mr. High Maintenance, Street Anthem and the sequel to Wives and Girlfriends. Nishawnda is also the founder of the Boston Book Bazaar, an annual book fair supporting literacy and authors of color. Tell us about your passion for writing. I feel that writing is not something I do, it is who I am at the core. God has given me this talent and I will not waste it. I am Powerful because…my words will echo through my writing far beyond the sound of my voice. Where are you from? How did you start your writing journey? Tell us about your book. Who are your two main characters and what do you like most about them? “My Own Hurricane,” a fictional novel- This narrative tale, told by Zeke Alexander, chronicles a terrible relationship wrought with addiction, mental illness and the dark side of codependency. Zeke explains his experiences to a friend who seems to be on the same dark path in hopes of his friend saving himself before it is too late. In my most recent book, My Own Hurricane, the two main characters are Ezekiel “Zeke” Alexander and his friend Eli. What I like most about Zeke is his poise and humility. He is such a compassionate person, he shared the darkest part of his past with Eli just to give him a glimpse of the future Eli was creating for himself. It takes great courage to be so transparent and open. Although it was working against him in the story, Eli has this huge heart that sees everyone for who they could be at their best. 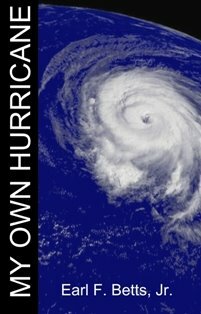 What makes your book, My Own Hurricane, stand out and would entice readers to pick it up? This book deals with the things society only whispers about. Topics like mental illness, addiction, abuse and violence. It is a no holds barred account of the main characters’ lives from the outside in. There are many books written about mental illness and addiction which are written from the perspective of the ill or addicted. This book is written from the perspective of the people who are the willing victims of the ill and addicted. Ultimately, what do you want readers to gain from your book? I would like the readers of this book to know they are not alone with their secrets, whether they are similar or not to the characters in the book. Knowing you can get through a horrible situation and come out better for the experience is powerful medicine. What is the most surprising thing you have learned in creating books? The end of the writing is only the beginning of the life of a book. I have learned things that amazed me to discover. Being an author is far beyond the written page. I chose to self publish my book for the experience I would gain from having my hand in every aspect. My most significant achievement has been writing, designing, laying out and then publishing my books myself. More research was done on that process than the book itself. The story of the book, for me, writes itself. I am as excited as any other reader to see what happens on the next page. Creating an actual book was a journey all by itself. Self publish your first book. Learn every aspect of the process. The education received will be worth all the pain, frustration and learning since you will know what it takes at each step to complete. There are dishonest people in every industry and you will be better prepared to spot them if you have an intimate working knowledge of the process. The other piece of advice I can give is to remain excited about your work. Each one is your baby. When you write new books they do not replace the previous works, they add to the collection. Name 3 things that it takes to make a successful author, in your opinion? There are innumerable stories inside of me, so as I always have, I will continue to write. My dream is to turn my publishing company, Betts Creative Media, into a mentor driven business to help other new authors turn their thoughts into books. I want to teach writers how to become authors and give them a platform from which their voices can be heard. Share with us your latest news, events or upcoming book releases. I have two books currently available on http://www.Amazon.com, http://www.Target.com and of course http://www.bettscreativemedia.com. 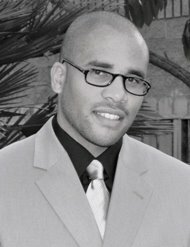 I am a featured contributor and have articles in The Chocolate Voice magazine that can be found at http://www.thechocolatevoice.com .